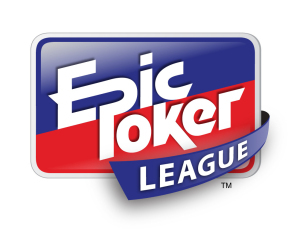 On Thursday night the Epic Poker League played down to their first ever final table. Six players will now go down in poker history as the members of the first EPL final table: Hasan Habib, Jason Mercier, Erik Seidel, Chino Rheem, Gavin Smith, and Huck Seed. However, a lot more is on the line than a footnote in the poker record books; with a nearly $1 million first place prize, as well as added EPL Points which will get the top 27 players at the end of Season 1 into the Epic Poker League $1 million freeroll, all of the remaining players will have their eyes fixed on the potential riches. An amazing hand ended the evening as Adam Levy was eliminated in 7th place holding Pocket Queens, but found himself up against Chino Rheem’s Pocket Kings. A miracle Queen on the A-Q-A flop gave Levy the lead, and he looked to be on the verge of doubling up when a 9 hit the turn, but an incredibly ugly third Ace on the river counterfeited Levy’s flopped full house and gave Chino the better full house AAAKK to AAAQQ. This entry was posted on Friday, August 12th, 2011 at 12:12 pm and is filed under Poker News. You can follow any responses to this entry through the RSS 2.0 feed. You can leave a response, or trackback from your own site.